Asta 10 mg Tablet is used in the treatment of high cholesterol. Take this medicine in the dose and duration as advised by your doctor. Swallow it as a whole. Do not chew, crush or break it. Asta 10 mg Tablet may be taken with or without food, but it is better to take it at a fixed time. 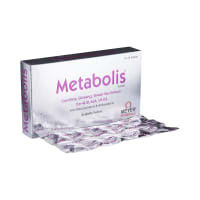 Asta 10 mg Tablet is a lipid-lowering medication (statin). It works by blocking an enzyme (HMG-CoA-reductase) that is required in the body to make cholesterol. It thus lowers "bad" cholesterol (LDL), triglycerides and raises "good" cholesterol (HDL). It is unsafe to consume alcohol with Asta 10 mg Tablet. Taking Atorvastatin with alcohol may increase the risk of liver damage. Asta 10 mg Tablet is highly unsafe to use during pregnancy. Asta 10 mg Tablet is probably safe to use during lactation. Limited human data suggests that the drug does not represent a significant risk to the baby. Asta 10 mg Tablet does not usually affect your ability to drive. Asta 10 mg Tablet is safe to use in patients with kidney disease. No dose adjustment of Asta 10 mg Tablet is recommended. Asta 10 mg Tablet should be used with caution in patients with liver disease. Dose adjustment of Asta 10 mg Tablet may be needed. Please consult your doctor. Use of Asta 10 mg Tablet is not recommended in patients with severe liver disease and active liver disease. What if you miss a dose of Asta Tablet? If you miss a dose of Asta 10 mg Tablet, skip it and continue with your normal schedule. Do not double the dose. Asta 10 mg Tablet treats high cholesterol by lowering "bad" cholesterol (LDL) and triglycerides (fats). It should be taken in addition to regular exercise and low-fat diet. In general, Asta 10 mg Tablet is safe. It may cause diarrhea, gas or an upset stomach. If any of these happen to you, take it with food. Inform your doctor if you have kidney disease, liver disease or diabetes. If you are diabetic, monitor your blood sugar level regularly as Asta 10 mg Tablet may cause an increase in your blood sugar level. 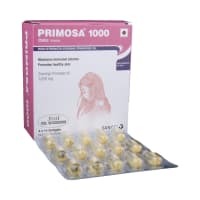 Do not take Asta 10 mg Tablet if you are pregnant or planning to conceive. Do you have any questions related to Asta 10 mg Tablet? Q. Does Asta cause gas? Yes, flatulence (gas or wind) is one of the common side effects associated with the use of Asta. If you have any such symptom while taking Asta, consult your doctor. Q. Is Asta used for lowering cholesterol? Asta belongs to a group of medicines known as statins, which are lipid (fat) lowering medicines. Asta is used to lower lipids known as cholesterol and triglycerides in the blood when low-fat diet and lifestyle changes fail to lower the levels of cholesterol and triglycerides. If you are at an increased risk of heart disease, Asta can also be used to reduce such risk even if your cholesterol levels are normal. You should maintain a standard cholesterol-lowering diet during treatment. Q. Does Asta lower blood pressure? Asta is a lipid-lowering drug used in the treatment of increased cholesterol levels and for the prevention of cardiovascular diseases. However, studies show that Asta has a small blood-pressure lowering effect. Q. Does Asta affect the liver? Asta is rarely associated with hepatobiliary (liver, bladder, bile ducts, or bile) disorders. 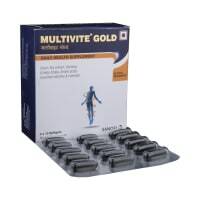 Its use is also linked with abnormal results of liver function test. Hence, getting liver function tests at regular intervals is recommended. Q. Does Asta cause itching? The use of Asta can cause itching and skin rash. If you experience any such symptom while using the drug, consult your doctor. Asta is a lipid-lowering drug which belongs to group of medicines called statins (lipid-lowering agents) or HMG-CoA reductase inhibitors. This class of drugs lowers the cholesterol levels effectively by blocking the enzyme HMG-CoA reductase. 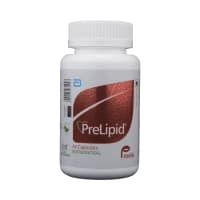 It lowers the cholesterol levels by blocking the formation of cholesterol. Q. Can the use of Asta cause diabetes? No, diabetes has not been reported as a side effect of Asta. However, it may increase your blood sugar levels. So, it is very important that you monitor your blood sugar levels regularly if you are taking Asta. Let your doctor know if you have diabetes mellitus and have been advised to take Asta. This is necessary because your doctor may need to monitor your blood sugar levels continuously. Q. Can Asta lower the level of triglycerides? Yes, Asta belongs to a group of medicines known as statins, which are lipid (fat) lowering medicines. Asta is used to lower lipids known as cholesterol and triglycerides in the blood when low-fat diet and lifestyle changes also fail to control cholesterol. Q. Does Asta cause weight loss? No, Asta has not been reported to cause weight loss. However, weight gain has been reported as an uncommon side effect. Please consult your doctor if you experience weight loss while taking Asta. Q. Does Asta cause erectile dysfunction? Yes, Asta can cause erectile dysfunction in very rare cases. Please consult your doctor if you experience erectile dysfunction while taking Asta. Q. Does Asta cause diarrhea? Yes, Diarrhea is a common side effect of Asta. Please consult your doctor if you experience diarrhea after taking Asta as the dose of your medicine may need to be changed. Q. Does Asta cause memory loss? No, Asta does not cause loss of memory. However, it is an uncommon side effect of Asta, and may affect only 1 in 100 people. Please consult your doctor if you experience any symptoms of memory loss after taking Asta. Q. Does Asta cause frequent urination? No, Asta has not been reported to cause frequent urination. Please consult your doctor if you experience increased urinary frequency after taking Asta. Q. Does Asta cause high blood pressure? No, Asta has not been reported to cause high blood pressure. Please consult your doctor if you experience any symptoms of high blood pressure while taking Asta. Q. Is Asta safe to take? Yes, Asta is safe if used in prescribed doses for the prescribed duration advised by your doctor. A licensed pharmacy from your nearest location will deliver Asta 10mg Tablet. Once the pharmacy accepts your order, the details of the pharmacy will be shared with you. Acceptance of your order is based on the validity of your prescription and the availability of this medicine.